Grilling and BBQ is a culinary art, and it takes years and years of trial and error to become a proper and expert grill master. And if there’s any secret that these pros can give you away through their experiences, it’s that proper grilling accessory! Grilling is in fact only easy and fruitful when you have the right accessories for it. On that note, today we will be covering some of the most important and handy Grill accessories that you need in your repertoire! It doesn’t matter if you have a gas grill or a wood grill, a basic grill, or a smart and over-the-top grill. 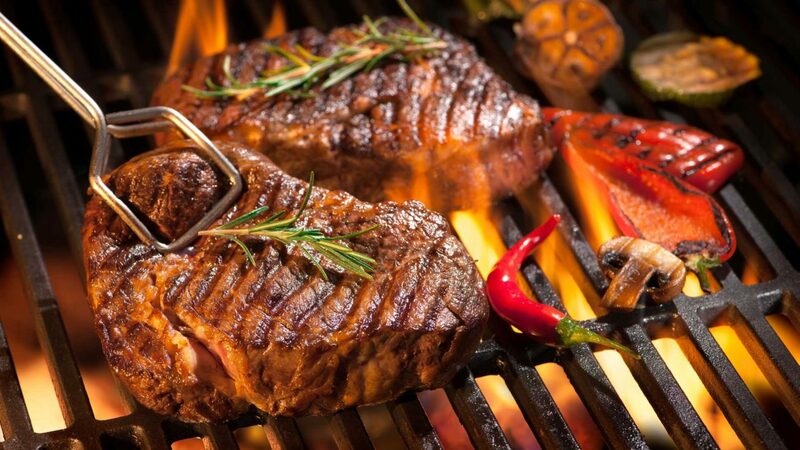 We list of the must-have Grill accessories will cater to you all so let’s get grilling! One of the very first Grill accessories that you should invest on is a good set of quality and durable grilling utensils. 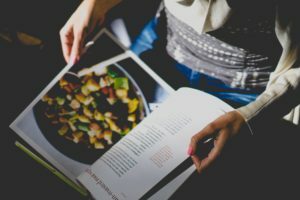 Most of us home-cooks have a tendency to cook by the “feel” of it. In other words, we cook meats and veggies as long as we like. And consequently, we often end up with under cooked or overcooked food without us even realizing. Having a thermometer is one of the most crucially important Grill accessories. And there is 1, and only 1, reason which is sufficient enough as to why using a thermometer while grilling is so important: D.O.N.E.N.E.S.S! Yep. Listen, all of us have had some pretty bad foods in our lives, but there is nothing worse and more repulsive to the palette than bad grill. Overcook the meat, and it’s hard and rubbery like a boot. Under cook it, and you’ll be celebrating the holidays suffering from salmonella. A basting brush is one of the mandatory Grill accessories. There is not one time that you won’t need it! You use it to oil the grill grates as well as baste marinades and sauces onto the cuts and veggies. Unfortunately, however, these brushes have long had a bad reputation. Some brushes meltdown from the heat…. .right onto the food! Some have terrible odors to them, some are practically impossible to clean, and the classic complains: the bristles shed all over the food. EW. 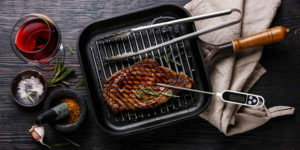 However, at the end of the day, we can’t do without a grilling brush and consequently, people have come up with several makeshift ways of brushing and basting. For instance, many people make a mop-like brush to baste food. Works well, but they don’t last and are more or less disposable from the first use. Fortunately, to bring an end to all of these problems and compromises, silicone brushes are here. These brushes are heatproof, do not melt and are ridiculously easy to clean. They are furthermore very durable and inexpensive! In fact, many cooks are now switching to silicone spatulas, silicone baking molds and so on. They also do not scratch the grill grates! Why does it any other way? Grilling mats are one of those Grill accessories that many people do not know about. However, the words are getting out and people cannot have enough of them! Grilling mats are basically flat cooking surface for your grill. It is soft, flexible, and you place it on top of them grills. These mats then absorb and spread the heat evenly all over it. They fireproof so you do not have to worry about it melting or burning. Most of these mats are flat, giving you an opportunity to make the most of your grill that you didn’t even know you could! Thanks to their flat surface, you can cook pancakes on them, cook rice, corn kernels, beans, etc. One other benefits of cooking on these mats are that foods stay very juicy and moist on them .this is because unlike the grill grates, these mats do not have spaces between them so juices and oils don’t drop down into the fire or coal. Grilling mats more or less acts and serve as a griddle pan for your grill! Except, these mats are much more affordable and lightweight. These mats furthermore make your grill machine more efficient as you can now cook 2 or more different types of foods on the same grill! There is quite nothing in the world like grilled fish. However, seafood, fishes, in particular, are very difficult to grill since they can break easily when you try to turn or move them. And the fish grilling basket is the answer for that. This is one of those Grill accessories that you will remember and thank us for! It is basically, a grilling basket made out of thin yet durable wires to create a net or mesh-like structure. This basket has 2 sides to it and it comes with a handle. You put whole fishes in the middle of the 2 sides, inside the basket to thus secure the fish in place. This way, you do not have to manhandle the fish at all! Whenever you want to turn the fish, you’ll simply just have to turn the handle of the basket. This way, the fish doesn’t break or flake away. And though we called it a fish grilling basket, you can furthermore use it to grill vegetables, fruits, tofu, cheese, wraps, and even thin cuts of chicken or beef on it! If you are grilling on a good day, chances are that you will be working with various different cuts of meat. You could be doing chicken, beef, veggies, fruits and even foods like rice and corn on the cob. All hail the inventor of the chimney starter! This tiny little object is probably one of the most useful and worth-the-money Grill accessories you can find. Whether it is a wood-burning grill, coal-burning grill, or even an old-school brick grill, you will need to smoke up the woods or coal to start cooking, of course. However, starting these fuels can be harder than you think. Fuels like this burn well and long, but starting them take a long time since they tend to diffuse easily. These fuels, most fuels in fact, need a perfect starting condition of heat and oxygen; something which starting the fire openly can. A chimney starter comes to the rescue in these situations. These starters are basically long, cylindrical dowel-like objects with holes on the bottom. You scrunch up some paper and light them on fire in the bottom, and then chuck in the fuel of your choice over the live fire. Because the chimney starter is so contained, the burning paper starts your fuel, making them ready for use within minutes! When the fuel is ready, you just throw it under the grill with the help of the handle of chimney starter and get to grilling. One other expressway to start a fire for your grills is by using a gel-based fire starter. A gel fire starter is one of those Grill accessories, which is what it says it is, and does what it says it does! You just slather on some of this gel onto your fuel and light up. It lights up immediately and can go for hours! One other benefit to using a gel starter is that it does not impart any chemical-ish odor of flavor into the grill, and into your food. It is safer than liquids fuels and faster than a chimney starter. It is furthermore very portable too since they come in convenient little bottles for you to carry around! It is absolutely given that you are going to scorch and sear your skin and burn the hairs on your hands from the grill. Let’s face it, these things can hellish hot! And as much as we’d like to say that it is a “learning process”, “it is normal with the grills”, blah blah, and more blah, the truth is that grill burns can be very nasty and painful. They leave scars alright, but you’ll be scared to step in front of one for the rest of your life. Therefore, unless you are an absolute pro with over decade’s worth of experience under your sleeve, we recommend that you start off by using grilling gloves. These gloves are heatproof up to almost 1000°F and therefore shield your skin and hair from toasting. Alright then, so you had a feast with your friends and family and are calling it a night. So, what happens after the party ends? In other words, who gets the most dreadful part of cleaning the grills? Let’s get real, grills are terribly difficult to clean and consequently nobody likes taking responsibility trying to clean it. The soaring temperatures, in combination with the oil, spices, marinades, smoke and fuel ends up creating a lot of gunk and mess. Moreover, this is the type of mess that won’t come off easy no matter how much you scrub and rub it. And, one of the best cleaning Grill accessories is a steam grill cleaner. It gets the grills super hot and humid with moisture, which consequently loosens up the tough, stubborn grease and gunk easily. It also gets in between all those hard-to-reach spots where your hand and a sponge just can’t. After steaming, all the gunk wipes away like in a single swipe! It’s easy, requires little to no effort and is furthermore good at its job!